Pullman Afternoon Tea - The perfect gift! 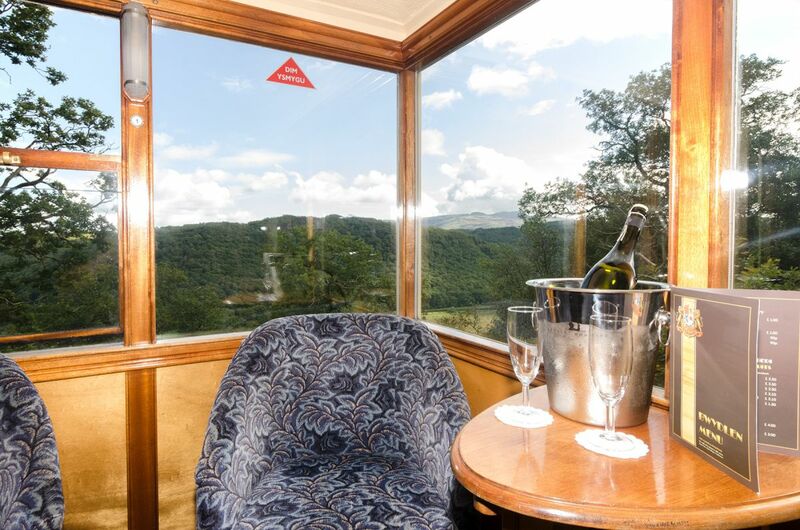 Sit back, relax and enjoy the enchanting scenery of the Snowdonia National Park and afternoon tea for two, as we take you on one of the top 25 railway journeys in the world. Traveling first class from either Caernarfon or Porthmadog in one of our luxury Pullman carriages, you will travel 50 miles through the heart of the Snowdonia National Park pulled by a historic steam train. 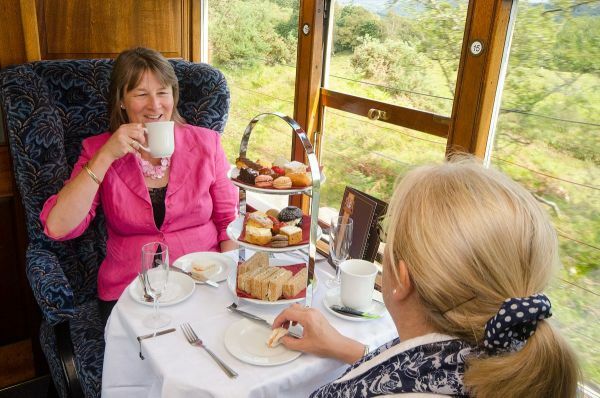 Enjoy free tea and coffee as you pass the foot of Snowdon, the picture postcard village of Beddgelert and through the stunning Aberglaslyn Pass. After taking a break at your destination you will board the train for the return journey, where afternoon tea will be served at your seat. 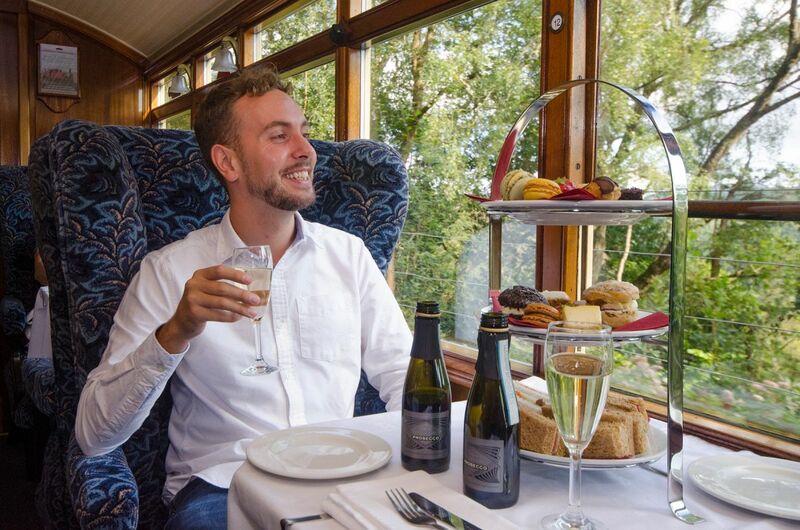 Add a little fizz to your journey and celebrate in style with a bottle of Prosecco for £20.00. Available on all trains, Pre-booking is essential. **22nd June is a special event day. Please contact the booking office for confirmation of journey times on that date. To purchase this unforgettable day out click on the link below to go through to our bookings page. A gift card will then be sent through the post including all details on how to book your experience day. Please contact the booking office (01766 516024) if you wish to book immediately for a specific date. Once you have ordered your experience, a gift card will be sent by Royal Mail. All information needed to book will be provided with the card. Please note that there are only a limited number of seats on each date so trains may sell out. Please contact the booking office (01766 516024) if you wish to book immediately for a specific date.